Eat it, drink it, rub it on, bathe in it, inhale it, give it to your dogs. CBD is everywhere. It’s one of the biggest buzzwords in alternative health around Boulder, and advocates say it can help with all kinds of conditions, from insomnia to anxiety to sore muscles and skin conditions. Even epileptic seizures. CBD, or cannabidiol, is the non-intoxicating extract of marijuana. In other words, it’s a part of the same plant, but it won’t get you high. Since it’s relatively new, research continues and not all of the claims have been proven. Some do have scientific evidence behind them, though. For example, the U.S. FDA recommends a CBD medication, Epidiolex, as a treatment for certain types of childhood epilepsy. Plus, CBD doesn’t have real regulation, which means quality can vary widely. That’s why local producers, like Katie Penley-Mart with Staesis, recommend always doing research before consuming. “Many companies that aren’t transparent with what or where their CBD comes from and get their crude from China, or it’s made from hemp seed oil,” she says. One thing people may not realize is there is a difference between hemp-derived CBD and marijuana-derived CBD, she says. Both come from the cannabis plant, but hemp is higher in CBD than its sister plant marijuana. Neither will create a psychoactive effect. Extractors have to do an extra “scrubbing” process to get the THC out of the marijuana-derived and hemp-derived CBD to get it to its “isolate” form, Penley-Mart says. These components (CBG, CBD, THC, CBD and more) work together better than when they are separated, Penley-Mart says. She says she always recommends a full-spectrum oil. “Why? Because you are getting all the components for the plant. 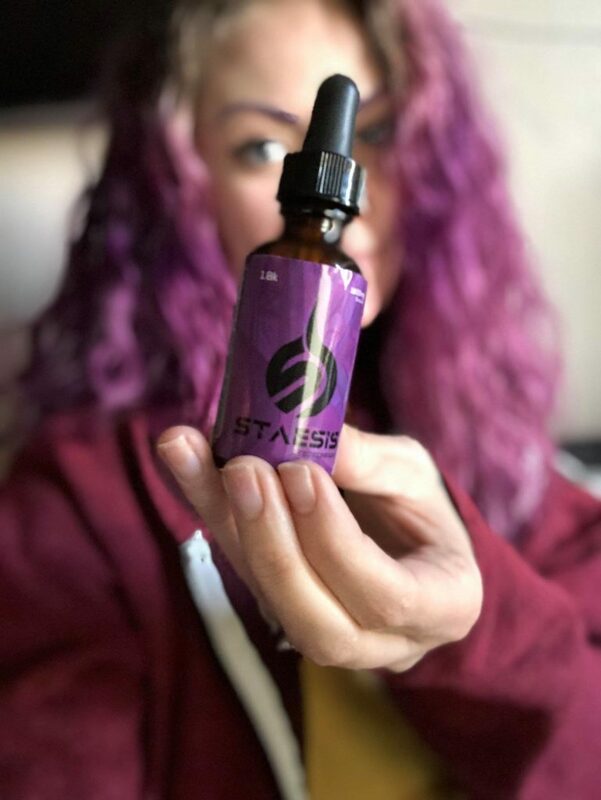 These components work together and give your body better benefits than a CBD isolate,” she says. If you’re curious about CBD in Boulder, this region is home to tons of different CBD producers and places to buy it. 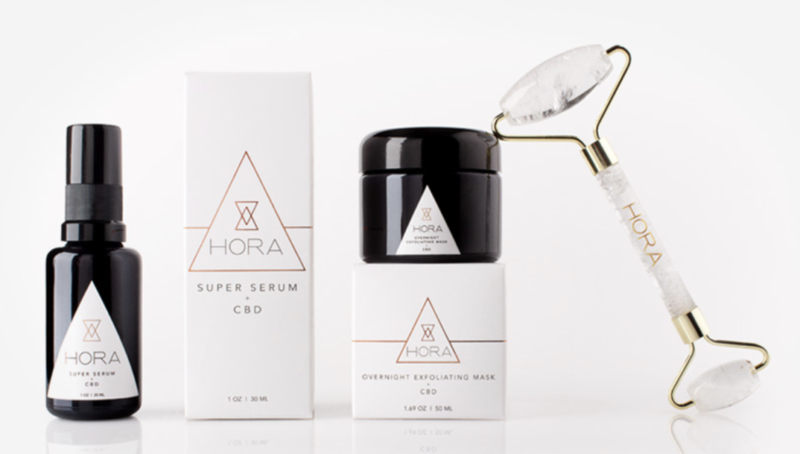 Just a few in Boulder County include Charlotte’s Web, Moon Mother Hemp Company CBD Boutique, CBD Centro, Extract Labs Headquarters, Functional Remedies Hemp Oil and marQaha. As CBD gains popularity, there are increasingly more forms of it and ways to use it. But Penley-Mart says the best way to administer CBD into your system remains via vape (CBD isolate and turpene-only cartridge mixtures) or sublingually (under your tongue). “These methods administer the CBD straight to the bloodstream opposed to swallowing, which doesn’t get absorbed until the stomach or liver, losing some of the effectiveness of the CBD. Your digestive tract is not an effective way to your bloodstream,” Penley-Mart says. That being said, if you’re looking for new and interesting ways to use CBD, here are nine interesting and creative options. 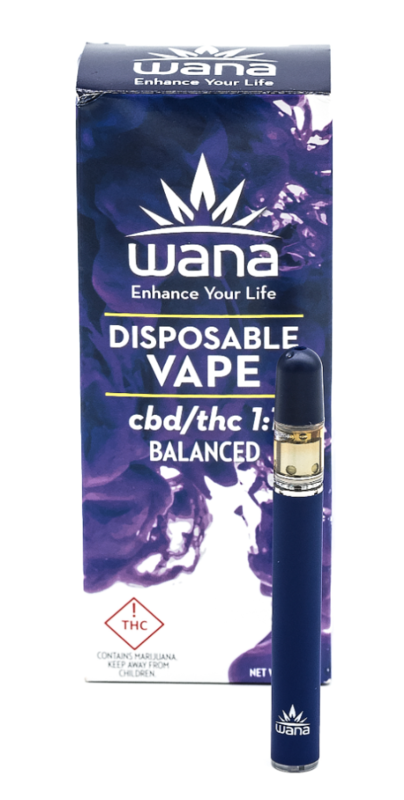 If you don’t want to buy a vape, which can be expensive, you can find disposable vaporizers through Boulder-based Wana Brands. There are a variety of flavors: Sativa Lemon, Indica Grapefruit, Hybrid Berry and 1:1 Rose Gold, in addition to Sativa Diesel, Indica Kush, Hybrid Haze and Balanced 1:1 CBD/THC. These vapes include THC, too. Each vape pen holds 300 mg of concentrate. 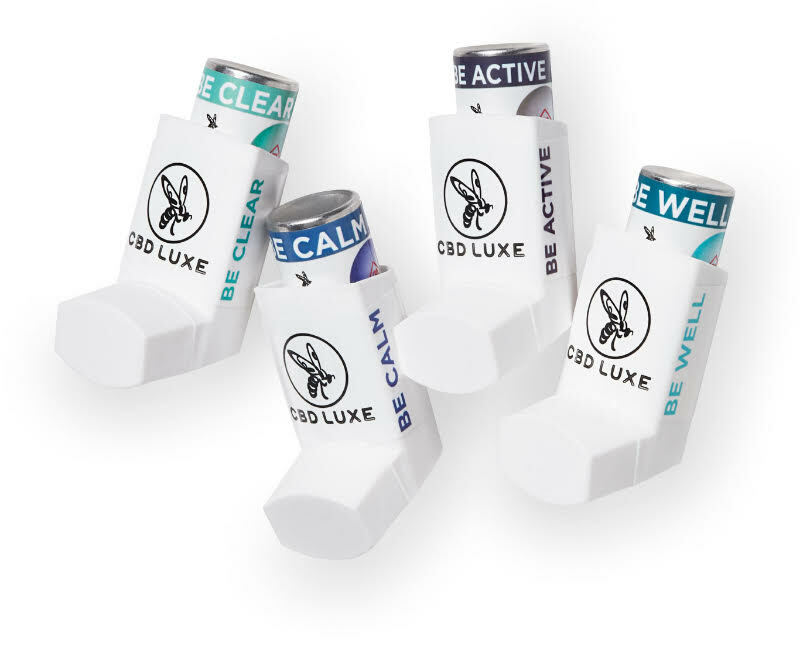 If you want to inhale but don’t like the smoke, look or feel of a vape pen, CBD Luxe makes unique CBD inhalers (they look like a traditional asthma inhaler). The inhalers are discreet and smoke-free. Each contain 1,100 mg of micellized full-spectrum hemp oil. 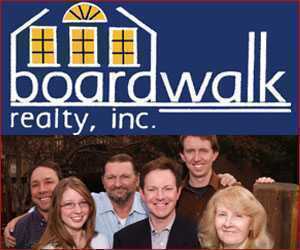 The company was founded by a former professional snowboarder and international Heli-ski guide, William Spilo. The hemp is sourced in Colorado. You can bathe in CBD. 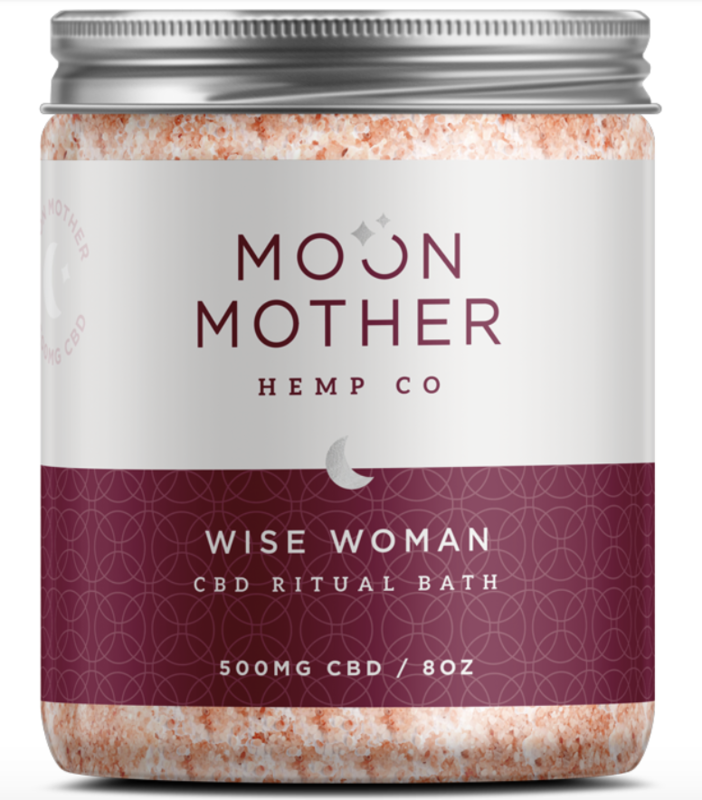 Boulder-based Moon Mother sells a Wise Woman Ritual Bath product to add to your tub. 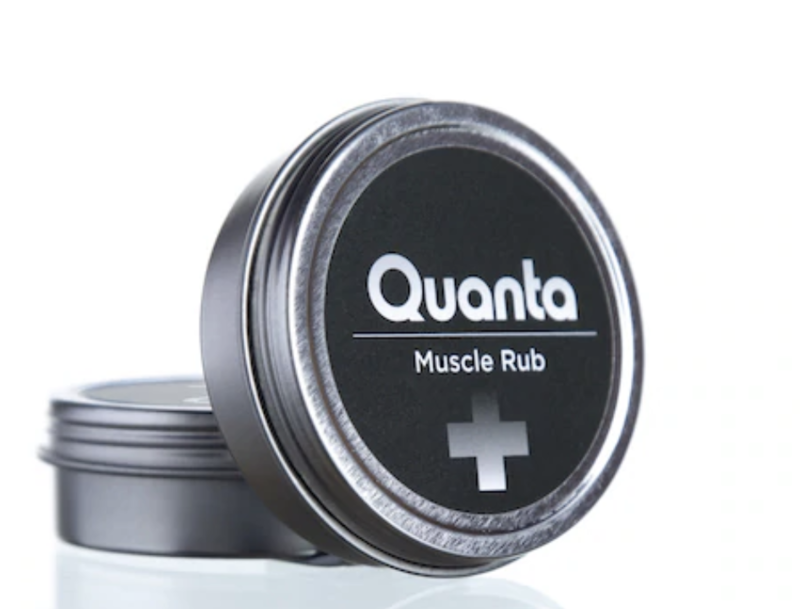 The blend includes dead sea salt, pink Himalayan salt, CBD-rich full-spectrum hemp extract, a blend of essential oils (such as rose, cardamom, lavender, vanilla bean absolute) and herbs and arnica. There’s a bath line aimed at men, too: the Rich by Rick Ross Men’s Collection, a nine-piece men’s beauty line made with caviar, cannabis and champagne (well, champagne extract, caviar extract and hemp seed oil). The collection includes hair and body wash, bear oil, pomade, shaving cream, aftershave balm and more. 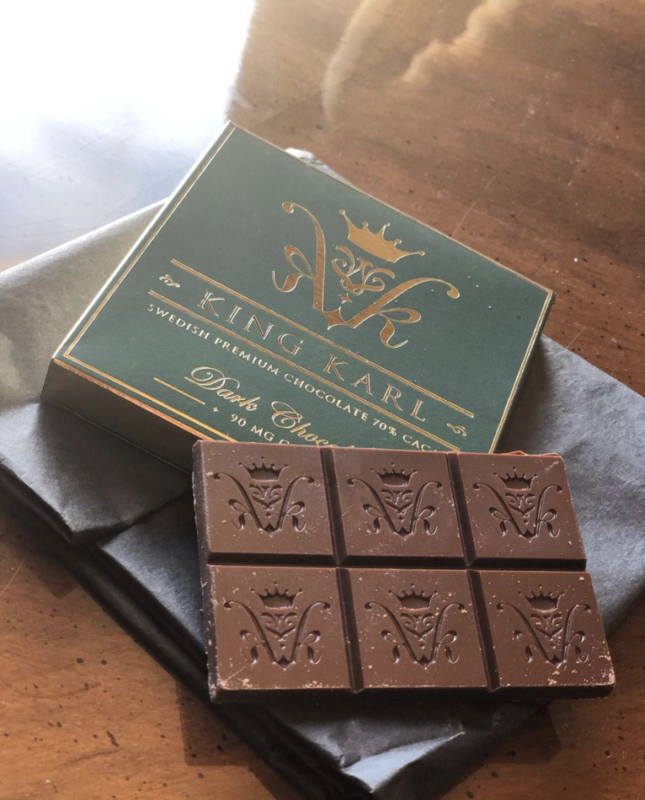 Really, you can add CBD to just about any indulgence. 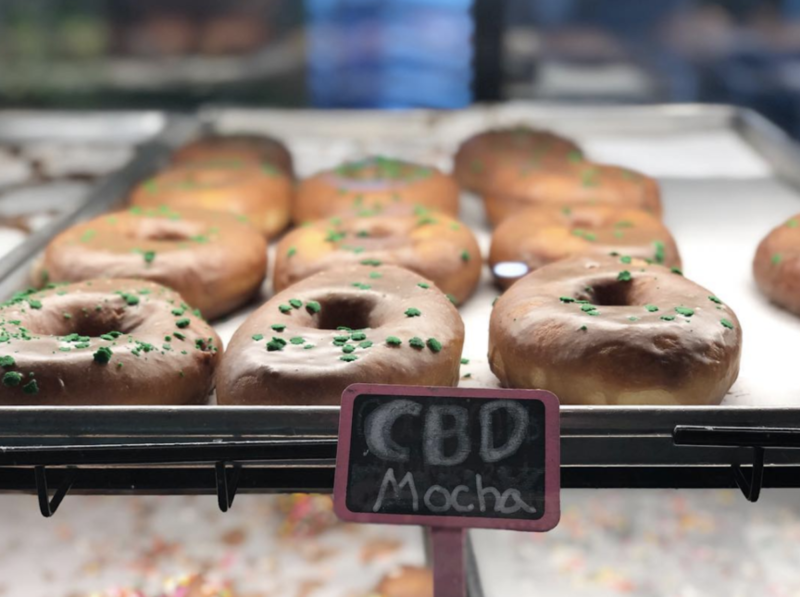 Glazed and Confused donut shop in the Stanley Marketplace in the Denver area sometimes makes special CBD donuts. Sweetgrass Kitchen is one company known for its creative cannabis edibles, including a newer line of CBD edibles. The CBD Chocolate Chip Cookie is a best-seller starting at a 10 mg CBD to 1 mg THC ratio. A portion of this cookie’s profits actually goes to Planned Parenthood. 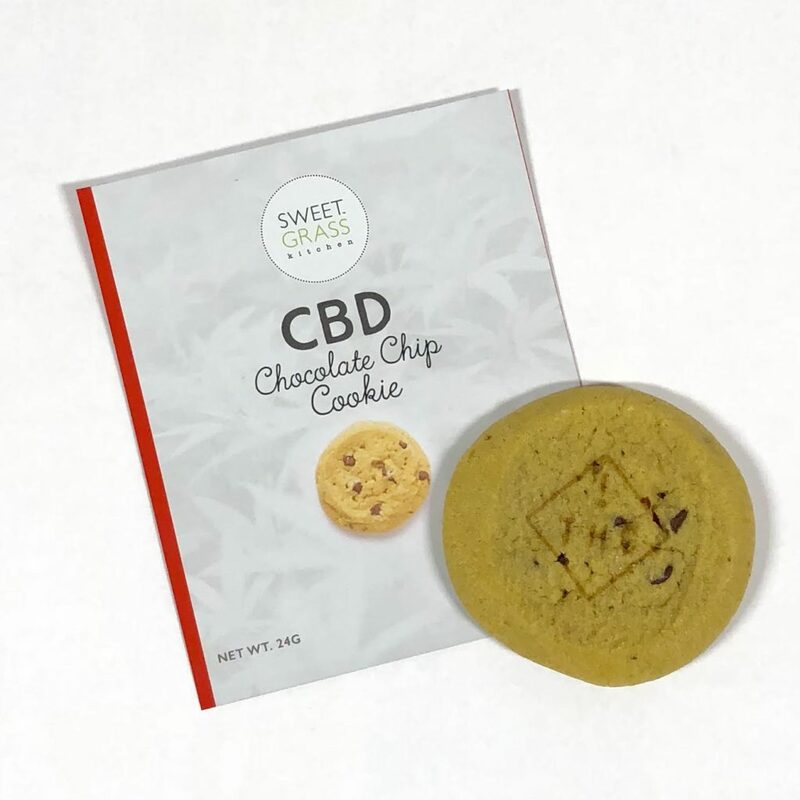 Sweetgrass also has a 1:1 50 mg CBD Chocolate Chip Cookie available on the medical side. For a pop of CBD that’s a little less than a chunk of chocolate but still sweet, there are CBD mints. 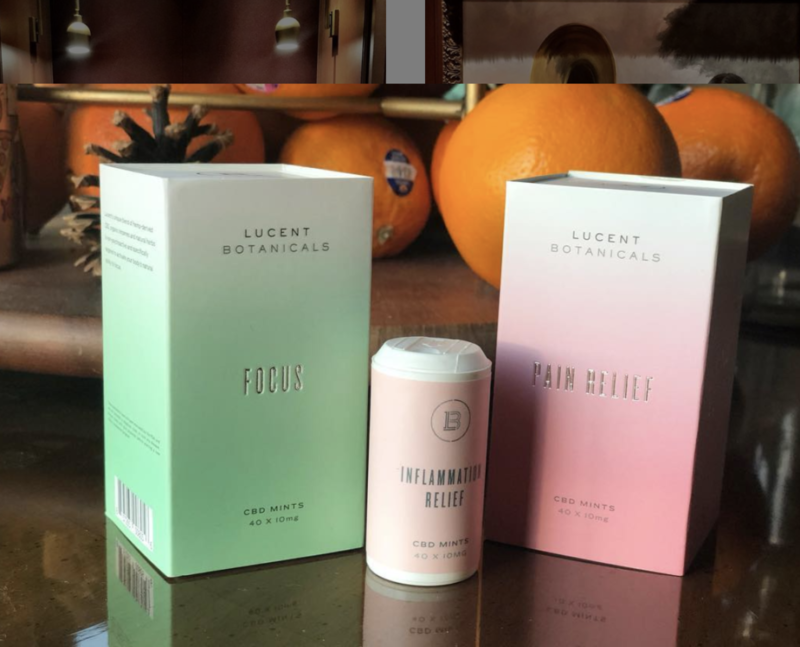 Lucent Botanicals makes several different types of CBD mints, blended with other ingredients to address specific issues, such as inflammation, pain relief and focus. One thing that makes Lucent interesting is it blends CBD with the terpene Humulene, which has its own anti-inflammatory properties. Locally, there are the CBD and THC Medimints, great for “micro-dosing” (that means taking small doses) and taking cannabis in a discreet way. 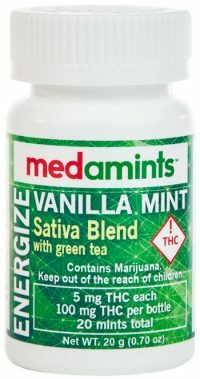 Also consider Elevate CBD Mints, which freshen your breath along with 3 mg of full-spectrum hemp oil extract per mint. You can drink your CBD, too. 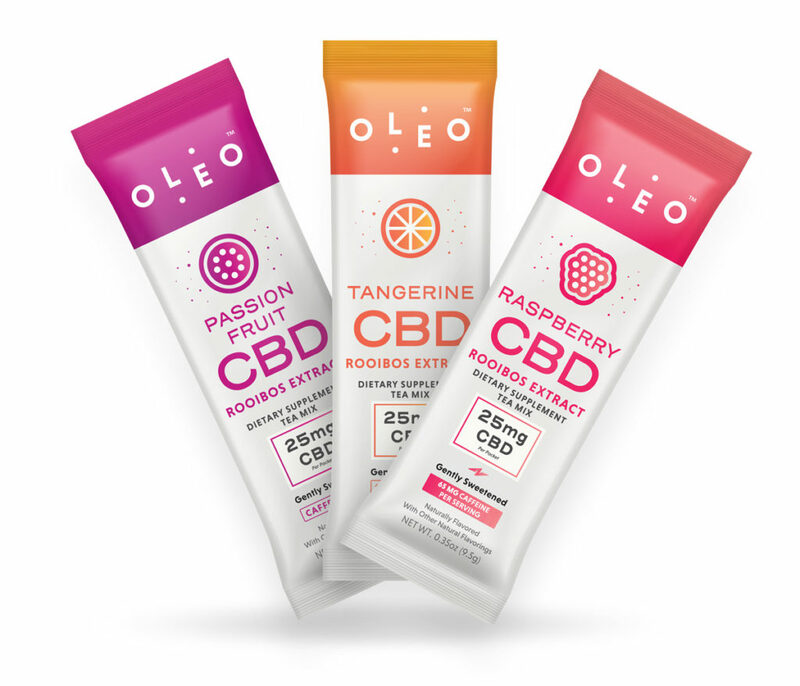 Oleo makes CBD drink mixes (popular among endurance athletes and marathoners), made with water-soluble CBD or “Micro-Encapsulated CBD.” Oleo’s research claims its product is four to five times more potent than typical CBD when measured over the initial two-hour period after consumption. Oleo makes single serving on-the-go packets or multi-serving jars, flavored and unflavored (that you can add to anything, like protein shake). There is the CBD Rooibos Extract tea mix, an instant rooibos tea mix made with rooibos and black tea in three different flavors, and also an Instant Coconut Water mix, made with freeze-dried coconuts and CBD. If you want CBD in your protein powder, Floyd’s of Leadville makes a special Recovery Protein: 27 grams of protein, 8.5 BCAAs and and CBD per serving. Advocates claim CBD can help pets, too. Locally, Moon Mother Hemp sells a hemp extract mixed with olive oil designed to promote calm and joint health for pets. Local Bluebird Botanicals has an animal category of CBD products, too. 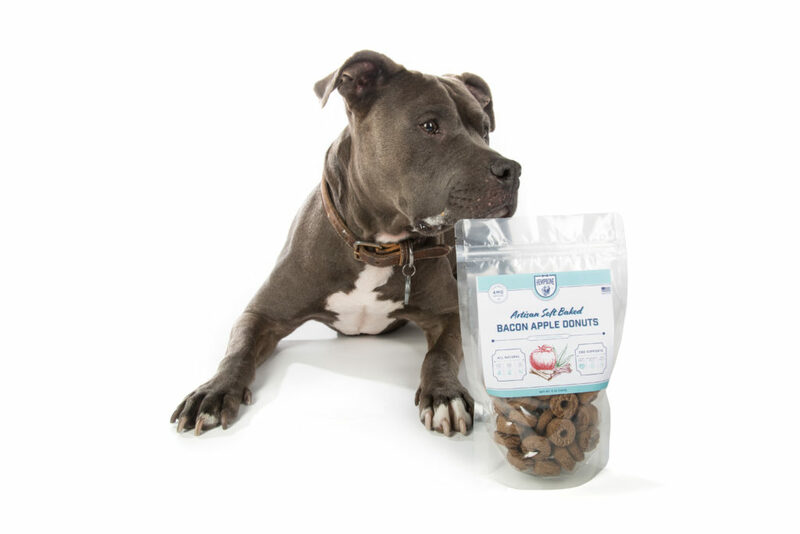 Phyto Animal Health also makes hemp products for cats, dogs and horses.